I decided to do a traditional Easter basket card. But you may say, "JJ, this set has no basket!" and you would be right! The bottom of the basket is actually the cupcake liner stamp from the set Cupcakes. The wreath stamp from Happy Spring is the perfect size for the handle. Using masks, I put together a complete Easter basket with yummy-colored eggs (in this case Mimosa, Aquamarine, Raspberry, and Orchid). 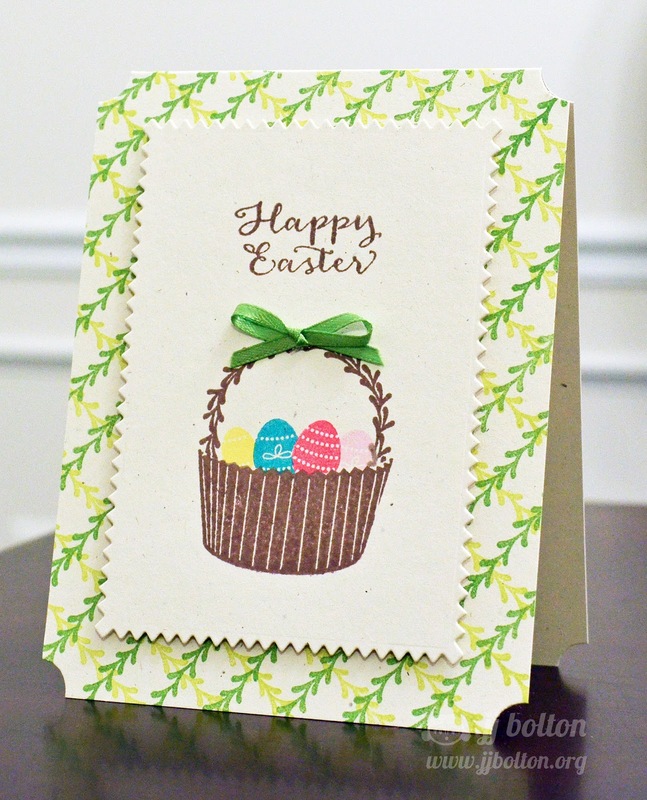 To create the lattice background, I used the border vine stamp in Celery and Lemon Grass. The basket is stamped on a panel that I die cut with our Pinked dies. Love the classic look! WOW!! What an amazing card. Love how you used these stamps, JJ! So clever, JJ. I didn't know I owned a basket. LOL. Love the grid you created on the background, what a great idea! How clever you are to use your cupcake die on this card! I really love how you created your background, too...stay warm, JJ! 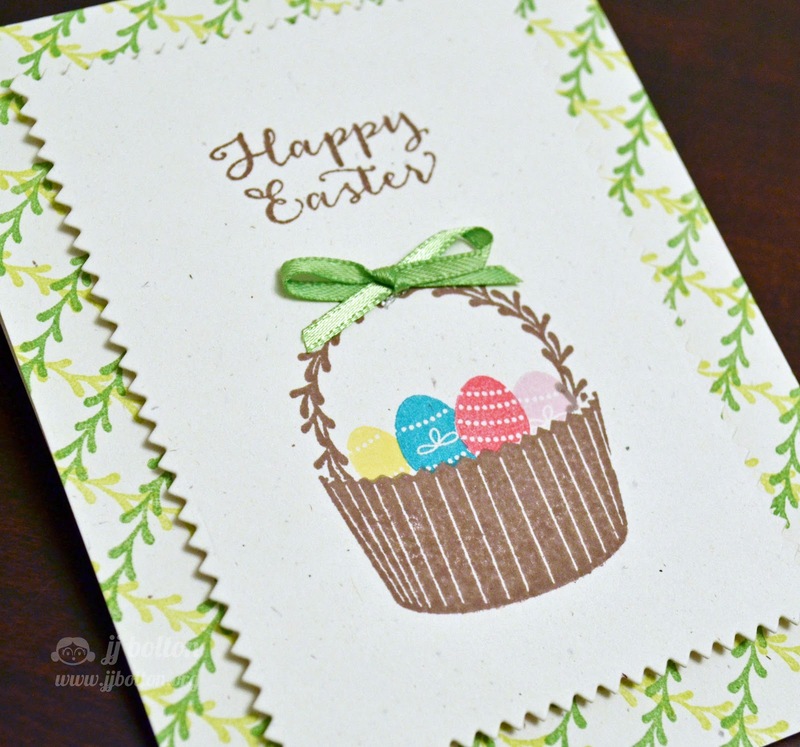 Just love this adorable Easter card. Love everything about it. Brilliant as always - great way to multi purpose your stamps to fit your every need! You're so creative!